To work and believe in The Sound of Silence (by 7th District ft. Baghira) gives us now a great response. 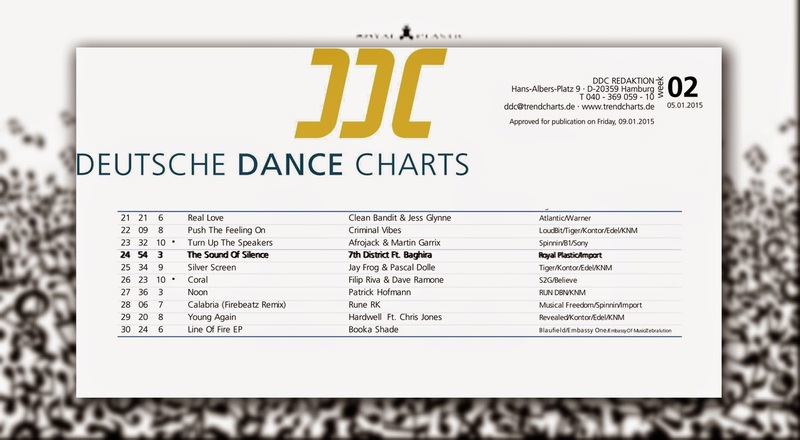 Re-Entry up to #24 at the German Dance Charts (just some steps behind Avicii). We feel very cosy between all Golliats of the Music Industry.